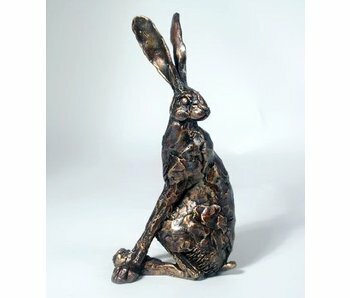 Hare sculpture Humphrey, a design by Paul Jenkins, released by Frith in resin (cold cast bronze), hand-finished. 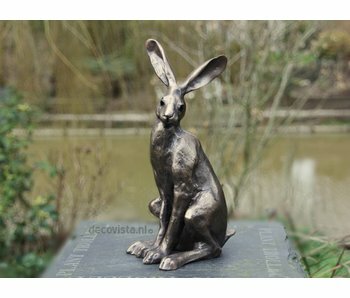 Size: H 21 x W 19 cm. 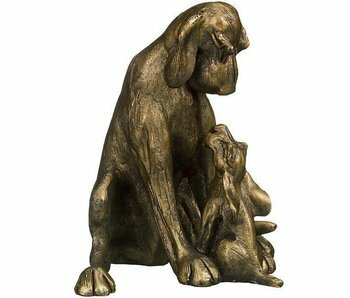 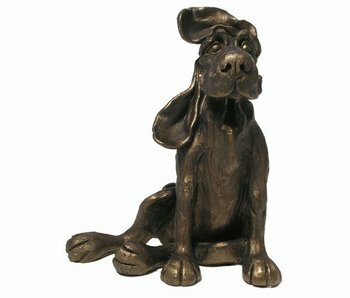 Sculpture dog Rusty designed by Harriet Dunn, exclusively for Frith Sculptures , reproduced by hand in cold cast bronze, with a special bronze finish. 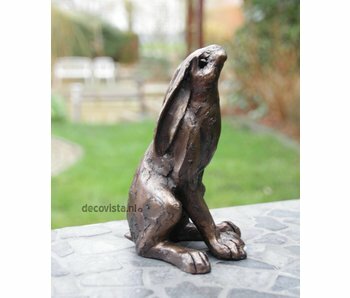 Size: 14 x 12 cm. 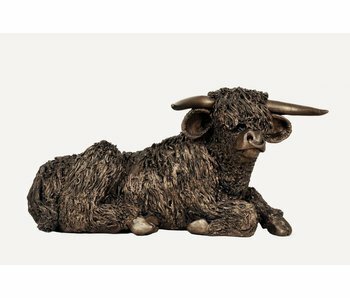 Highland bull sculpture, a woolly design by sculptor Veronica Ballan made for Frith, released in resin (cold cast bronze), hand-finished. 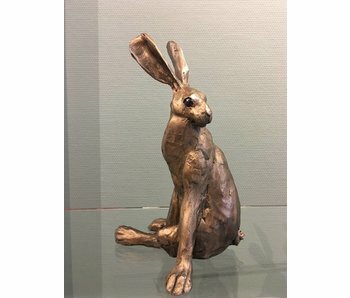 Naturally sculpted hare, designed by Paul Jenkins for Frith (supplier of the National Trust). 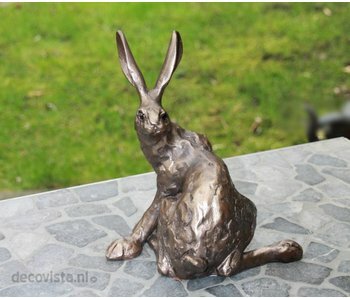 The resin sculpture in cold cast bronze technique is hand finished with Premier Finish and is 21 cm tall. 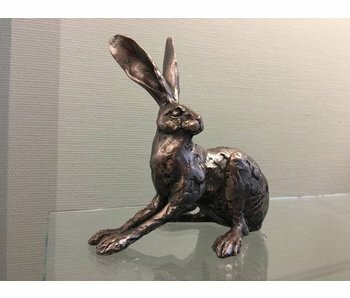 This Hartpury Hare sculpture, designed exclusively for Frith by Paul Jenkins, has been reproduced in cold cast bronze resin, is hand finished and polished. 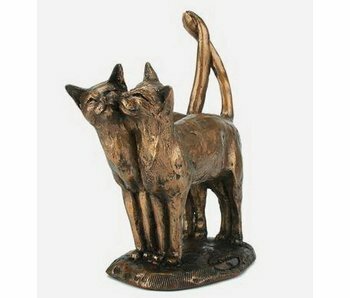 Size: H 25 x 17 x 15 cm. 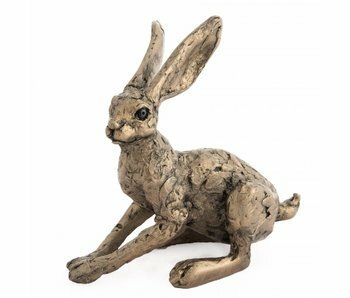 Very naturally designed hare, designed by the English artist Paul Jenkins for Frith (supplier of the National Trust). 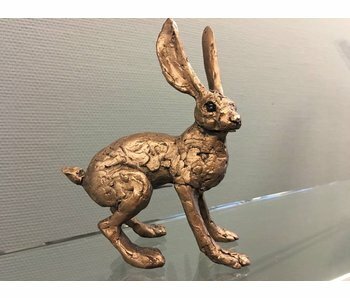 The resin sculpture in cold cast bronze technique is hand finished. 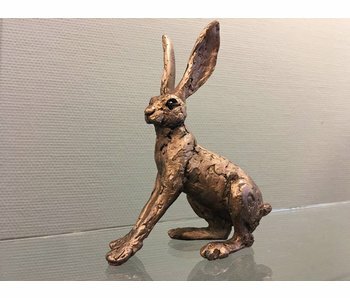 Size 18 x 17 cm . 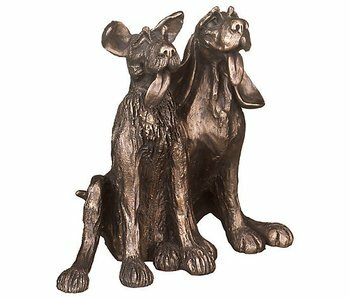 Manufactured by hand for the last 21 years and with care by our craftsmen and women in the West Country of England in our special bronze finish, we ensure that you acquire a quality sculpture, which will give you and future generations, many years of pleasure. 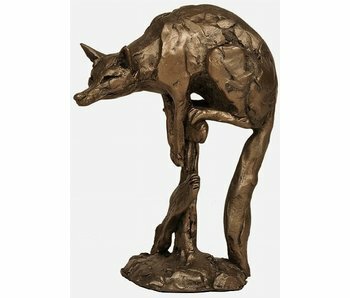 Paul was trained at Dudley College of Art and much of his figurative work is depicted in our range. 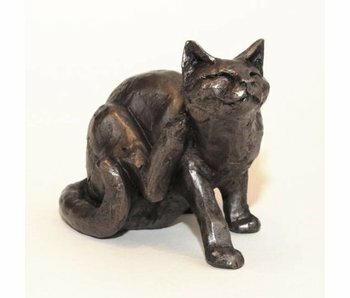 He is best known for his skill at creating cat and hare sculpture which we offer exclusively - Howver he has also sculpted Otters, Nudes, Pigs and much more for Frith. 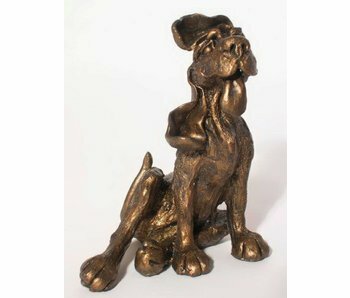 Veronica Ballan is an extraordinary sculptor and her trade mark is the shaggy or hairy animal which is full of character but perfect in detail. 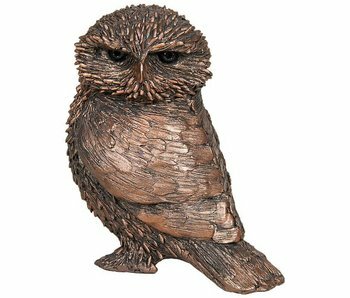 Veronica is based in the North east of England and assisted by her husband Pete. 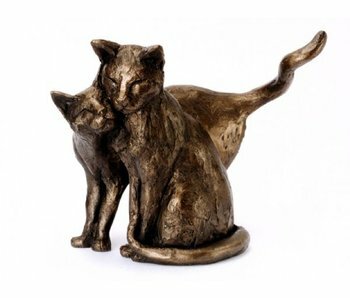 Her pieces of work can be classified as outstanding. 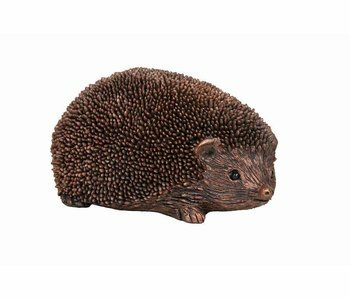 It is so different from the work of others and highly collectable. 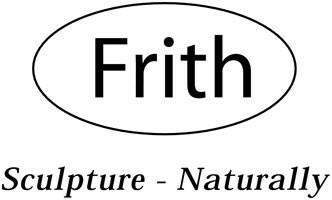 These Frith pieces based on her work make perfect gifts or will enhance any home. 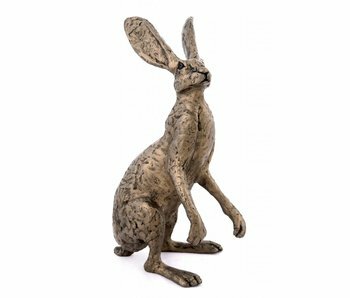 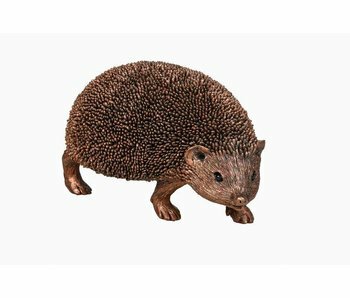 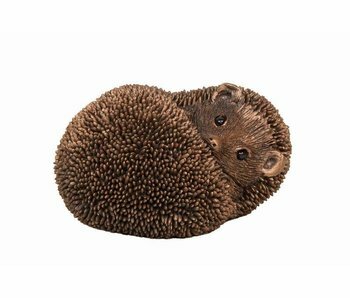 is a renowned UK animal artist and works from his studio in Dorset where he combines the art of a sculptor with his lifelong passion for wildlife.